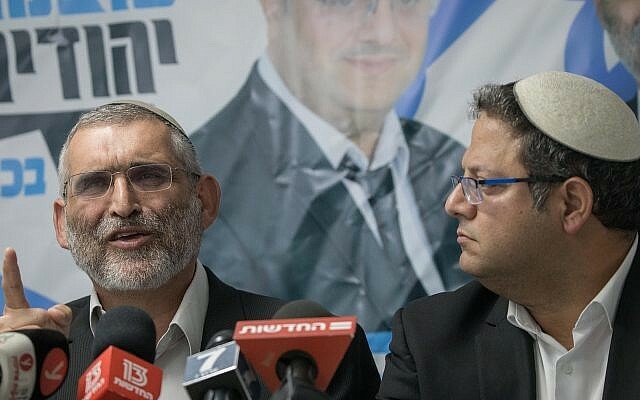 The extremist Otzma Yehudit party issued a new series of demands to its partners in the upcoming elections after the High Court of Justice on Sunday barred the leader of the party Michael Ben Ari from running for parliament. It wants another party member, Baruch Marzel, to be promised a ministerial position in the next coalition, and Itamar Ben Gvir, Ben Ari’s deputy, to head a key Knesset committee. In an 8-1 vote, the justices voted Sunday evening in favor of a petition calling for Ben Ari to be disqualified over his anti-Arab ideology and incitement, overturning a decision by the Central Elections Committee to approve his candidacy last week. Attorney General Avichai Mandelblit had urged the court to ban Ben Ari for his overt racism. After the decision, Otzma Yehudit sent a list of new demands to the Jewish Home party, which is leading a joint election slate called the Union of Right Wing Parties that also includes Otzma Yehudit and the National Union. Otzma Yehudit demanded that Ben Gvir, the second Otzma Yehudit candidate on the URWP slate, be moved up from eighth to fifth position on the joint party list for the elections, and that he be promised the chair of the Constitution, Law and Justice Committee in the Knesset. Ben Ari, who served as an MK with the National Union party in 2009-2012, was fifth on the URWP slate. Ben Gvir is set to move up to seventh in the wake of the ban on Ben Ari. By law, parties cannot shuffle their slates in the last several weeks before elections, after having been formally submitted to the Central Elections Committee. 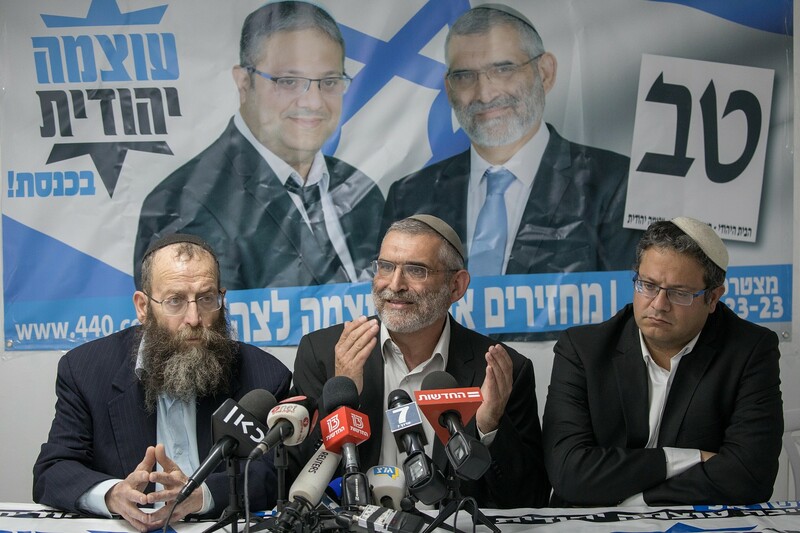 The extreme right party also demanded that Marzel, another Otzma Yehudit leader, be given a ministerial spot if the party enters the coalition. Parties are allowed to appoint non-elected politicians to ministerial positions. Party activists told the Ynet news site that these demands were needed in order to ensure that its supporters would still turn out to back the united slate in the wake of Ben Ari’s disqualification. The court cleared Ben Ari’s fellow Otzma Yehudit party member Ben Gvir to run. 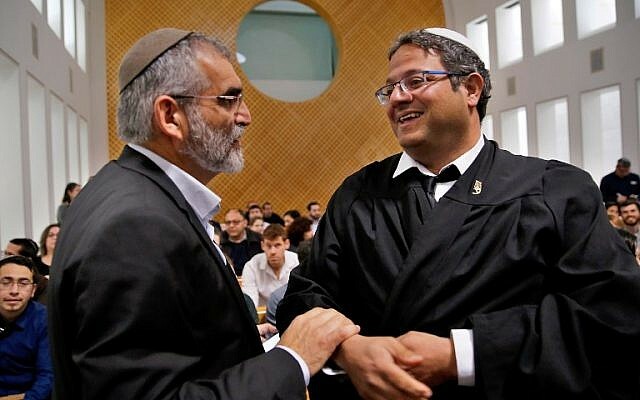 Ben Ari had faced multiple bids to outlaw his candidacy under Article 7A of the Basic Law: The Knesset, which lists “incitement to racism” as one of three actions that disqualify a candidate from running for Knesset. Mandelblit, the attorney general, had urged the court to bar him, citing his long history of “severe and extreme” racism. Ben Ari has insisted he is not a racist and that recent remarks highlighted in the current appeal against him were taken out of context. Last week, the court held a heated discussion on the candidacy of Ben Ari and fellow party member Ben Gvir, with representatives from the State Prosecutor’s Office urging the former’s disqualification from running in the upcoming elections. Otzma Yehudit leaders have described themselves as proud disciples of the late rabbi Meir Kahane, who supported violently expelling Arabs from Israel and the West Bank and once proposed legislation outlawing inter-ethnic sexual relations. Kahane’s Kach party was declared illegal by Israeli authorities. The party’s union with Jewish Home was orchestrated by Prime Minister Benjamin Netanyahu last month in an effort to prevent losing right-wing votes if the individual parties failed to cross the Knesset threshold of 3.25%. He promised Jewish Home two ministerial posts in his next government, and gave a Jewish Home member the 28th slot on the Likud Knesset slate. However, the specter of Otzma Yehudit gaining one or more seats in the Knesset has drawn criticism from Israeli lawmakers and major Jewish groups around the world.